It's Thanksgiving today in the U.S, and i wish to all my American readers a great Thanksgiving party. 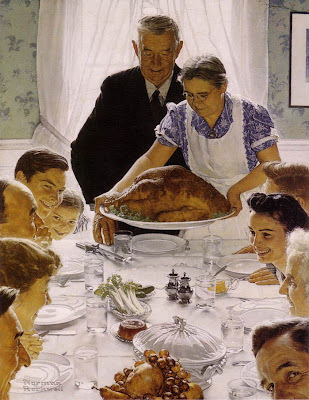 I've found for you some artwork - inspired by a famous Norman Rockwell painting - which seems to be the right artwork for this memorable day! 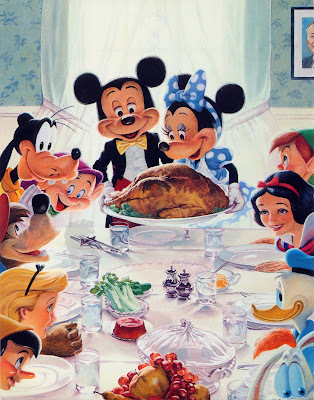 Here is the original Norman Rockwell painting which inspired this "Disney" version.